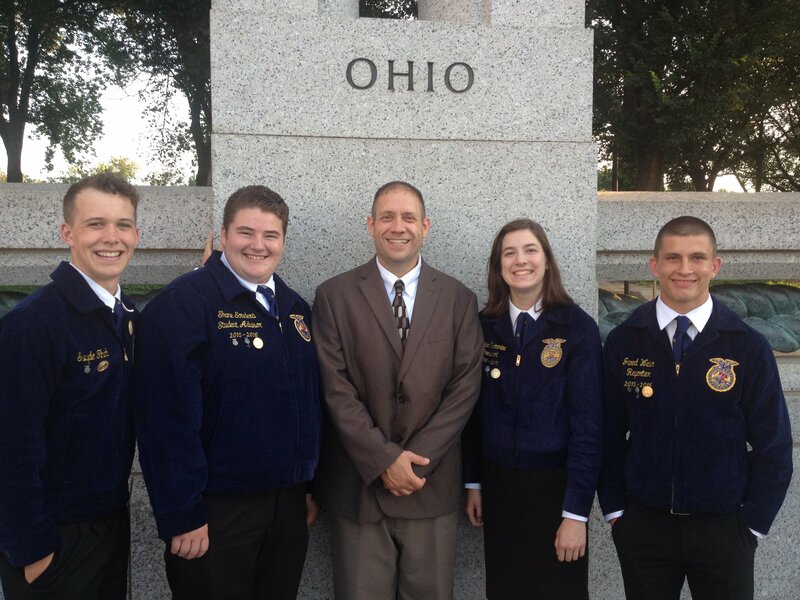 Urbana FFA sent four members to the Washington Leadership Conference on July 14 through July 19. Kaylan Turnmire, Shane Souders, Swayde Finch and Jared Weller were sent to Washington to learn the importance of personal growth, leadership development and community service. During Washington Leadership Conference students were able to learn the four themes “Citizenship, Me, We, Do, Serve.” During the first night of WLC students were asked to define and discuss citizenship. During this students would be in groups and discuss the main idea of citizenship while later students would be split into community groups and students would go in depth on what an engaged citizen looks like. The first full day of the conference, titled “Me”, the objectives include identifying personal passions and strengths. After being in the big group discussion students would then spit into community groups and create personal purpose statements. During the night of the first day Students took a night tour in Washington. The following is a speech written by Amber Clingan, historian of the Mapleton FFA Chapter. 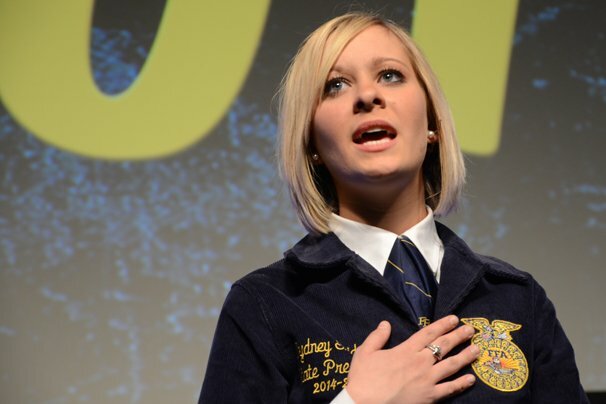 What does FFA mean to you? FFA to me is a family. A family that is always there for you and pushes you to do better than your best. You end up making friendships and memories that are everlasting. 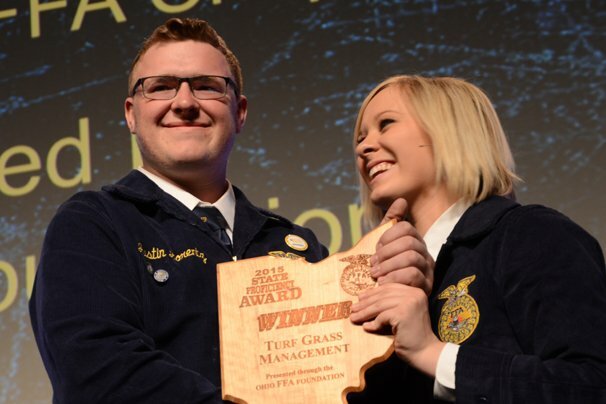 The mission of the FFA is to make a positive difference in the lives of students by developing their potential for premier leadership, personal growth and career success through agricultural education. When I first joined I never thought I would take on different leadership roles I have now. Attending the meetings, seeing what really happens, experiencing the hard work that goes into the organization, and talking to people who life is revolved around the FFA. The more and more I learn and become involved, the more I want to do. I have taken on the role of Historian for my home chapter, Mapleton FFA, joined the junior fair board, became the treasurer for my 4-h club, Savannah Hardworkers, and a part of the band officer team. After placing in the top four in the Area 5 Envirothon, the Amanda-Clearcreek FFA Chapter sent two teams to compete in the State Envirothon contest on June 8th and 9th at Mohican State Park. This was the first time the chapter has ever had a team qualify for the state contest, and the first time in at least 15 years that a team from Fairfield County has attended. The Envirothon is a contest which tests students’ knowledge on local Wildlife, Aquatics, Forestry, and Soils, as well as requires them to create and present a presentation in a mere four hours. Over 1,500 students compete in this contest across the state in the five area contests, so it is a tremendous honor to make it to the State Contest. This year, Amanda Clearcreek sent two teams. The first, which placed 11th, consisted of Josie Montoney, Josh Metzon, Kayla Luft, Ruth McKnight, and Adrian Wymer. On May 23rd, the West Holmes FFA Chapter held their annual Mid-Ohio Lamb Classic show at the Holmes County Fairgrounds. The show had over 170 lambs shown. The judge for the morning event was Jason Schuck. The people across Ohio came to show their lambs and to help recognize the West Holmes FFA Chapter and their efforts. The Chapter also held numerous sponsors at the event to help raise the money to put the show on. 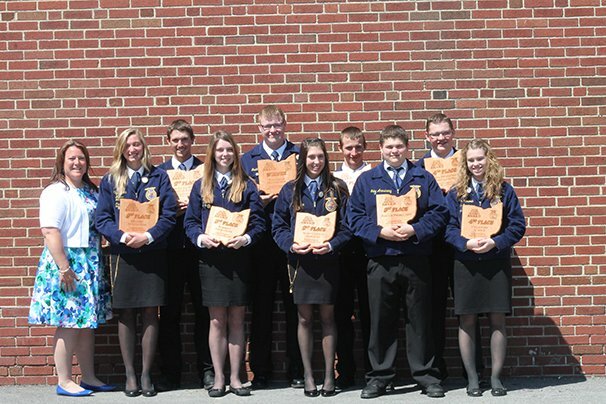 On April 31st and May 1st, 2015 the West Holmes FFA attended State Convention in Columbus at the Ohio Expo center. Members attending State Convention; Shyann Kick, Paige Miller, Elise Neville, Harlie Spurlock, Racheal Yerian, Kara Leadbetter, Jillian Gurley, Jordan Jenkins, Gabe Armstrong, Tyler Grassbaugh, Carter Smith, Thane Kaufman, Tyler Lyons, Jarret Snow, Michael Klein, Mikey Kick, Jake Napier, Jason Jenkins, Dylan Harsh, Regina Miller, Alyx Morris, Whitney Miller, Beth Klein, Sarah Sprang, Juanita Miller, Victoria Eggers, Morgan Hoxworth, Justin Lorentz, William Hughes, Chris VanSickle, Matt Gardner, Peyton Boring, and Marris Hoffee. On the way to state convention members stopped and toured Ohio State Athletic Facilities, members were informed of the many different grasses on the fields, how game set-up works, and that they have. After the tour of the facilities members ate lunch at Roosters restaurant. After this the proficiency finalists went to the Proficiency Award luncheon and proficiency interviews. 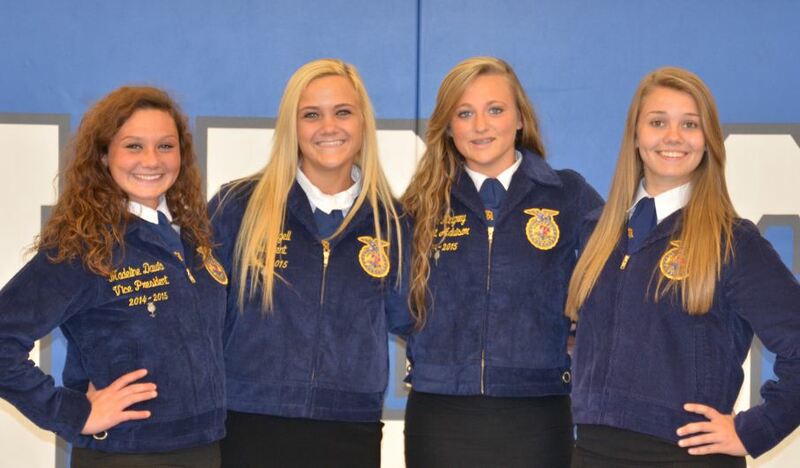 The May 2015 Miami East-MVCTC FFA Members of the Month are Casey Copeland, Madeline Davis, Olivia Edgell, and Riann Kingrey. They are all retired chapter officers and will soon be graduates of Miami East High School. Casey is the daughter of Rick and Stephanie Copeland of Casstown. She participated in Food Science and Horse Judging Career Development Events. She plans on attending The Ohio State University to major in molecular genetics. Madeline Davis is the daughter of Jerry and Noelle Davis of Troy. She was a Start State in Agribusiness Finalist and National Proficiency Finalist. She plans on attending Randolph College to major in business and equine science where she will be a member of the equestrian team. Olivia Edgell is daughter of Brian and Jamie Edgell of Fletcher. She served as chapter President and attended the Washington Leadership Conference. She plans to attend Walsh University where she will play college softball and major in early childhood education. FFA members are talented in many ways. 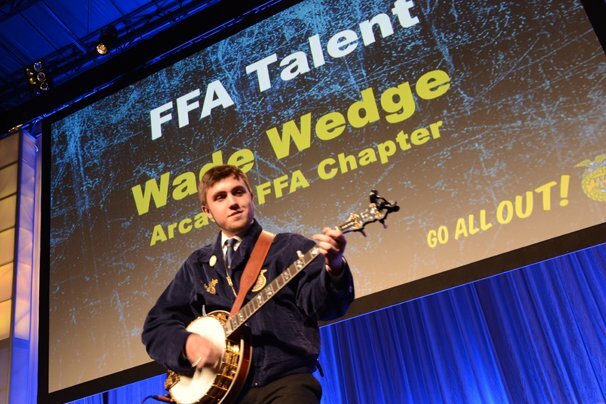 For some students, traveling to Ohio FFA State Convention is a time to receive recognition for their hard work throughout the year, but for others it is a time reserved to showcase their unique talents at the Ohio FFA Talent Show. 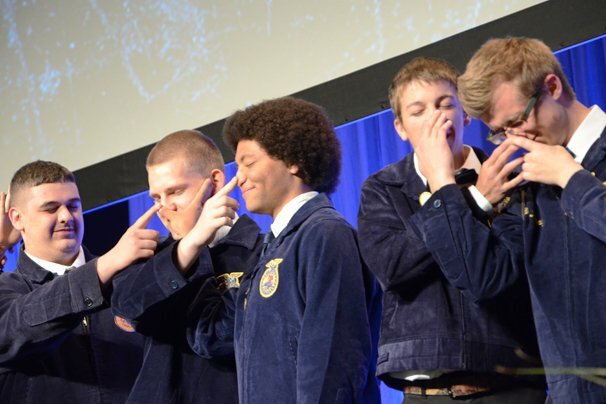 This year at the 87th Ohio FFA State Convention, students from the Hardin Northern FFA Chapter stole the show with an a cappella performance that was pitch perfect. 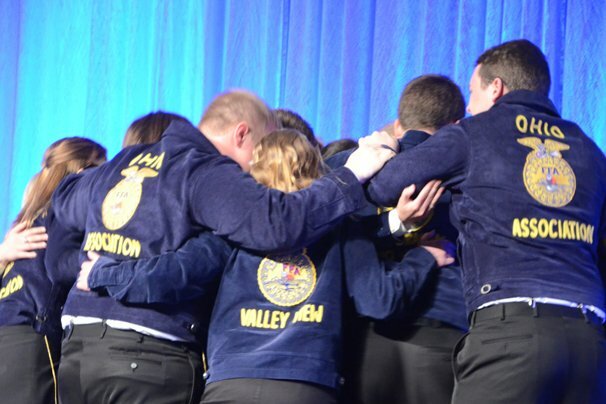 The first place act was Awakened Commotion — a group of 10 FFA members under the direction of their high school choir director, Kelly Eikenbary. The talented ensemble sparked energy in the convention hall during their performance of a Justin Bieber and Katy Perry mash up song. “It was a giant adrenaline rush,” said Mariah Burton. a sophomore FFA member. “I had more fun during this show than any other because I felt confident performing with my team. Regional Vice President at Large: Lesley Shanahan, Mechanicsburg; Ryan Goddard, A.B. Graham Ohio Hi-Point; Alyssa McQuiston, Miami Valley CTC; Sarah Landis, Valley View-MVCTC; and Madison Sheahan, Genoa-Penta. The Fifth and final session of the 87th Ohio FFA State Convention was filled with emotion, passion and pride for the FFA. The 7,677 attendees got to hear from the band and choir, listened to an inspiring retiring address from State President Sydney Snider and celebrated with the new state officer team and the more than 800 State Degrees awarded. Speakers were showcased, officer awards were presented, CDE winners were recognized, and parents of state officers were honored in this busy session. Attendees got to hear the Spanish (and English) versions of the FFA Creed and an inspirational message from National Officer Ruth Ann Myers as well. The Third Session was packed full of action, awards, humor and highlights. 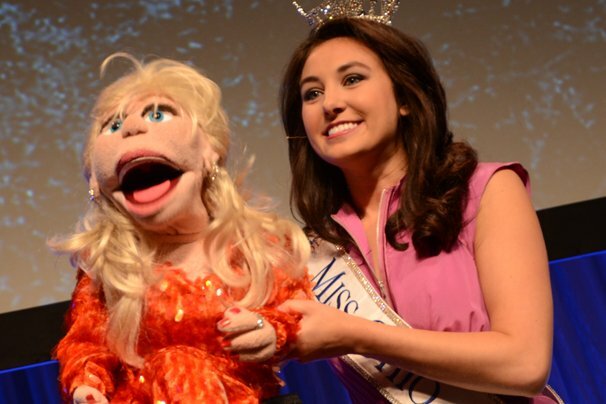 FFA members got to hear from Miss Ohio McKenzie Bart and her puppet Roxy and see a state officer bust a move onstage. Top chapters and proficiency winners were honored as well. The Second Session recognized honorary degree recipients, Stars Over Ohio, and Proficiency winners. FFA charities, teachers and administrators, generosity and new chapters were all highlighted in Session 1. The attendees also learned some life lessons from keynote speaker Curtis Zimmerman, a mime and juggler. 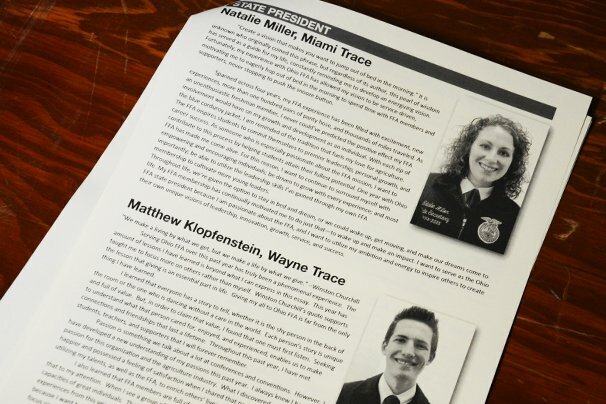 The state officer candidates for 2015-2016 were announced as well. 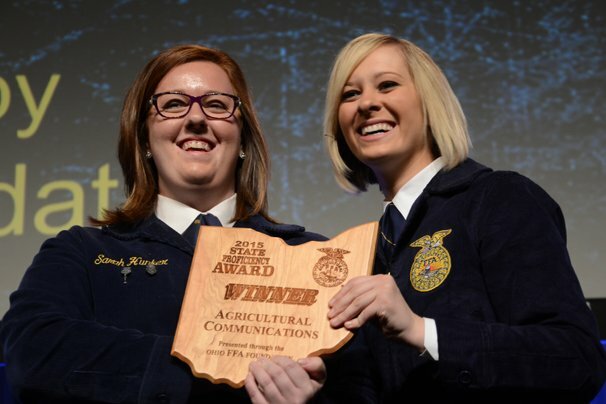 Ohio Ag Net and Ohio’s Country Journal are excited to announce yet another year of exceptional student reporters to help bring you live coverage of the 87th Ohio FFA State Convention, April 30th and May 1st at the Ohio Expo Center. They’ll be reporting alongside our staff and offering a view of convention from a member’s perspective, all while learning valuable communication skills and having fun in the process. 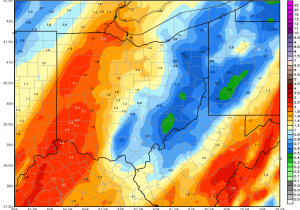 Stay tuned to www.ocj.com for the latest updates from Ohio FFA. Taylor Caster is a member of the Clyde FFA Chapter. She is currently a sophomore at Clyde High School and serves her chapter as its junior president. She’ll be serving as president next year. Taylor has participated in various CDEs such as Parliamentary Procedure, Agricultural Sales, Dairy Judging, and Public Speaking. Outside of school, she is involved with the Riley Booster 4-H Club serving as reporter, Jr. 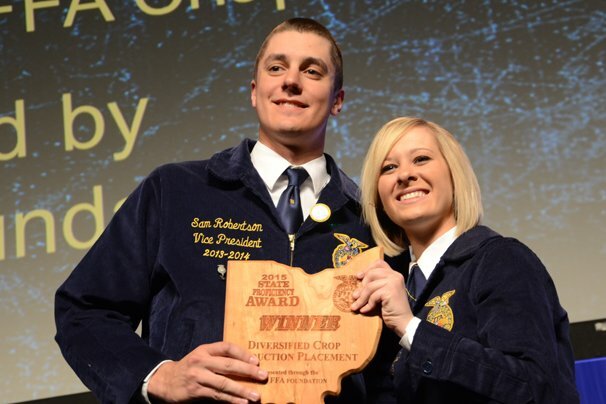 The 87th Ohio FFA Convention will take place April 30th and May 1st this at the Ohio Expo Center. 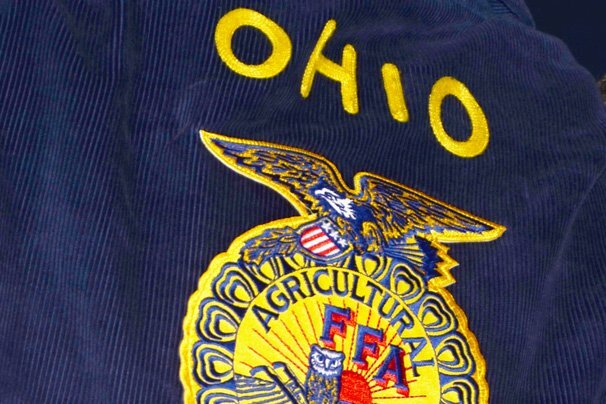 The event will welcome Ohio FFA members from across the state to rub shoulders with others wearing blue jackets. Students will take part in workshops, compete in contests, and be recognized for their achievements to name just a few things of what to expect over the two busy days in Columbus. 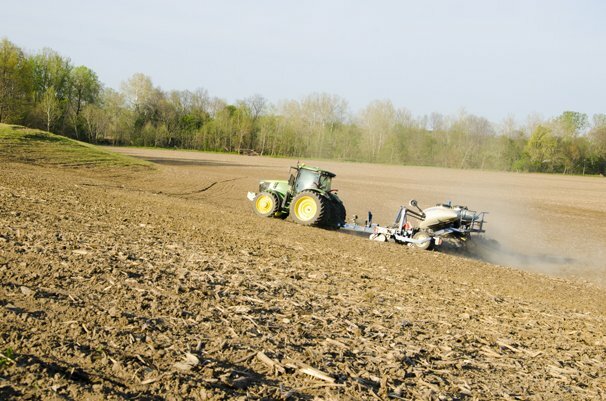 Full coverage of the event will be provided from the 2015 Ohio Ag Net and Ohio’s Country Journal Student FFA Reporters. The Benjamin Logan FFA has announced a near record setting amount of State FFA Degrees to be awarded to their members this year. The State Degree is the second highest honor a member can receive, only below the American FFA Degree, and the highest honor a state organization can bestow. 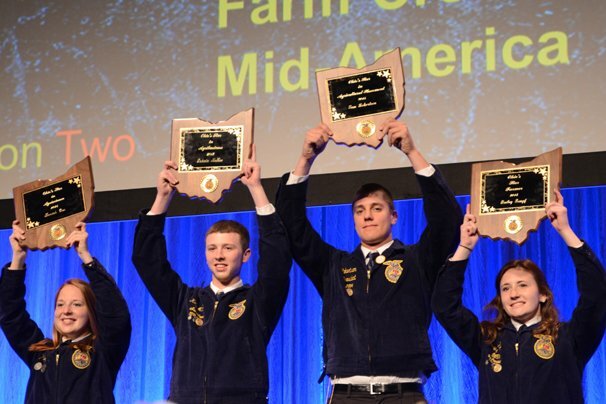 The following Ben Logan FFA members will receive their State Degree at the Ohio FFA State Convention on Friday, May 1st: Grace Barger, Noah Nicholl, Dillion Park, Erica Wilson, Cassondra Coil, Chance Coil, Jessie Griffin, Robert Brown, and Taylor Miller. 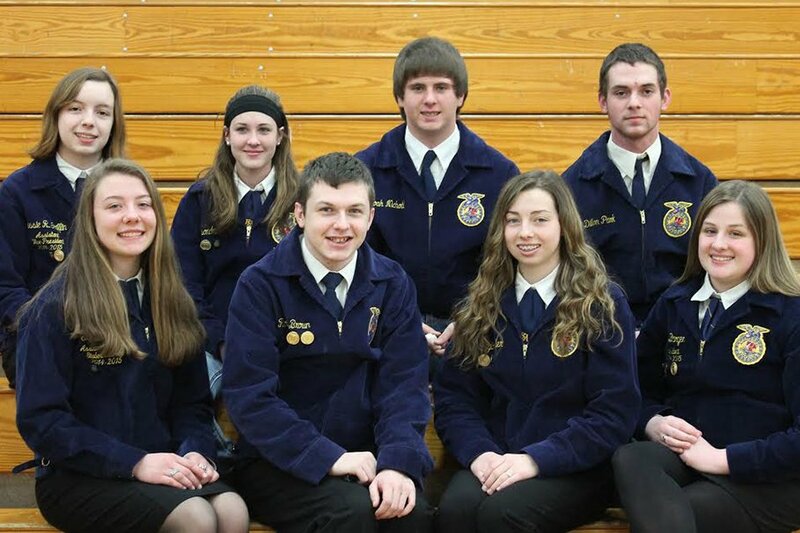 Urbana FFA members recently took part in the State Career Development Events. 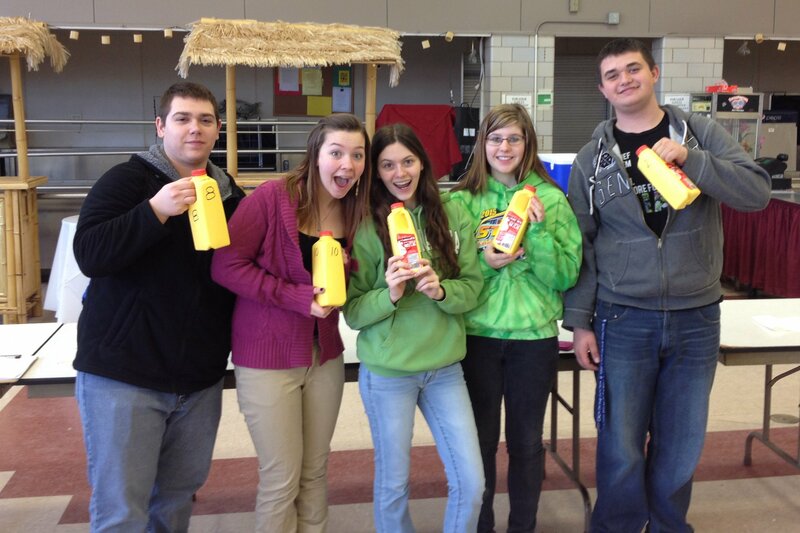 The Milk Quality and Products, Poultry, and General Livestock teams competed in this event. 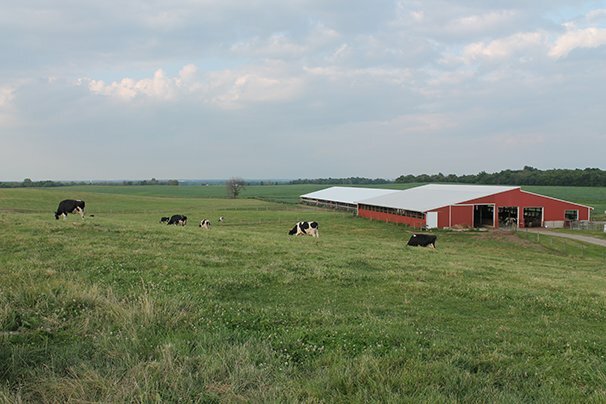 With State Dairy Cattle and Meat Evaluations more recently on April 25th. These competitions promote leadership and life skills for the students involved. All students take part in practices before the contests, to learn the skills they will need for the competitions. Teams are made up of up to eight members, and are given an accumulative score on the three highest ratings. The Milk Quality and Products team taste milk to determine a defect and milk fats also determining the type of cheese. The team placed first in the state and consisted of Hannah Preston who placed (1st) individual in the entire state, Jacob Wood placing (8th) individual, Ciera Marchal placing (9th) individual, Billie Stiltner, and Robert Keller. The top four scores are going to be going to The Big E regional competition in the fall which takes place in Massachusetts.